Exercise / Fitness & Sports. Face / Body Beauty Accessories. HDMI / DVI / VGA Cables. Health / Treatment / Care. Home / Office & DIY Products. Jewellery & Watches / Products. Network Kits & Network Product. OFC / Fiber Optic Products. Party / Celebration / Wedding. Ceiling Suspended Recessed LED Panel. 3.5mm Jack to Jack Coiled Male Aux Cable. 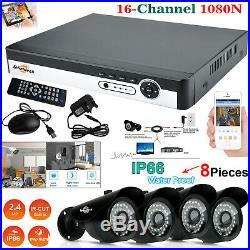 16 Channel 1080N 5 in 1 DVR + 8 Wired Bullet Camera. 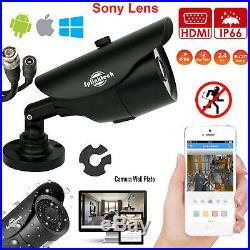 2.4MP Sony CCTV Bullet 1080p Camera 128AHD. 2.4MP Sony 1080PCCTV Bullet Camera. UTC Chipset: This Camera has built-in UTC chipset which allow you to change the mode from supported DVR. Resolution: 2.4 Mega Pixel 1080p. Main Chip: High performance SC2235 +V30E. Video Output: 1 BNC Standard Signal Output. Lens size: 3.6mm lens. Minimum Illumination: 0.001LUX/F1.2(Led on). White Balance: Auto White Balance. 16 Channel 1080N 5 in 1 DVR. Non-real-time mode uses a preferred way of decoding. Quickly search video files and easy to playback. Support cloud service P2p Function. TVI / AHD / DVR / NVR / CVI five-in-one, many kinds of mode to switch, support full HD analog, HD analog plus digit HD, full digit HD. Through Cloud service, easily realize net penetration, only one step to achieve remote viewing. Support many kinds of Web browsers. Support VGA TV and HDMI output at the same time. Perfect supporting(WEB, Client, SDK), easily achieve interconnection. Support twenty more kinds of languages. Freely Change boot logo and choose interface style. Channel mode (Analog channel + digital channel). Number of lines resolution / frame rate. 12 1080N/15 + 4 1080P/25. 8 1080N/15 + 8 1080P/25. 4 1080N/15 + 12 1080P/25. 16Ch is not real time. Timing, manual, dynamic detection, external alarm. The number of simultaneous playback. Time point retrieval, calendar retrieval, event retrieval, channel retrieval. USB mobile hard disk, U disk. PELCOP, PELCOD, LILIN, MINKING, NEON, STAR, VIDO, DSCP, VISCA, SAMSUNG, RM110, HY. Pan, Tilt, Zoom, Preset, Cruise, Trace. 10 / 100 Mbps Ethernet (RJ-45). TCP/IP, DHCP, DDNS, NTP, SMTP. 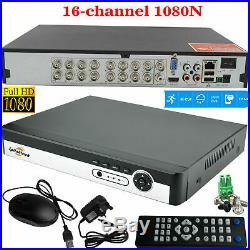 16 Channel 1080N 5 in 1 DVR XVR Includes. 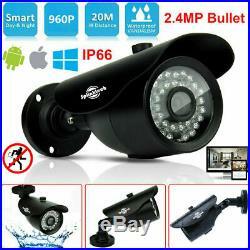 8x Black 2.4MP Sony CCTV Bullet 1080p Camera 128AHD. We are always happy to help. Don't forget to have a look on the other great items that are currently on sale. Thank you for browsing and Happy Shopping. Question: Do you offer further Bulk Quantity Discount? You would have to post the item back to us on your own cost View More. Multiple types of HDMI, DVI, VGA Cables. Elegance is not the abundance of simplicity. It is the absence of complexity. The item "16CH 1080N DVR CCTV with 8X 2.4MP Sony Bullet Security Camera Video Recorder Kit" is in sale since Friday, September 15, 2017. This item is in the category "Home, Furniture & DIY\Smart Home & Surveillance\Home Surveillance\Home Surveillance Parts & Accessories\Other Surveillance Parts & Accessories". The seller is "thomas-it" and is located in Greenford. This item can be shipped to all countries in Europe, United States, Canada, Australia.